The rent at Walnut Trail Apartments ranges from $665 for a one bedroom to a $905 one bedroom. Apartments in this building are about 3% more expensive than the Portage average. This is a pet-friendly apartment. This apartment is in Portage. Nearby parks include Portage Creek Bicentennial Park South Entrance (Celery Flats) and Milham Park. Walnut Trail Apartments has a Walk Score of 52 out of 100. This location is Somewhat Walkable so some errands can be accomplished on foot. Located in the heart of Portage, within walking distance of Bicentennial Park and Crossroads Mall, is one of the area's most popular apartment communities. The airport, I-94 and various restaurants, shopping destinations and entertainment are all just around the corner. The variety of building styles, immaculate grounds and personable staff are just part of the charm of Walnut Trail. Relax by the refreshing pool with generous sundeck and free Wi-Fi or challenge your friends to a game of sand volleyball. Whether running errands, enjoying the outdoors or staying in watching Dish Network, you'll find that Walnut Trail Apartments are a great fit for your lifestyle. Visit us today for more information and a personal tour. Explore how far you can travel by car, bus, bike and foot from Walnut Trail Apartments. Popular apartment searches include single family, fireplace and furnished. 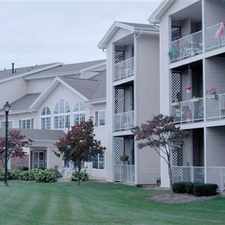 Walnut Trail Apartments is in the city of Portage, MI. Portage has an average Walk Score of 18 and has 46,292 residents.